Build Your Career With a Company That Puts People First! 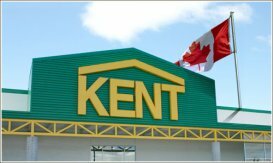 Your Future with Kent starts here. Are you looking for a real opportunity instead of just another job? Join the Kent Team and discover the possibilities. Whether you have years of experience or are just starting out, whether you want to progress on your current career path or try something completely new; we provide the training and opportunities to help turn your career goals into a reality. If you have a positive attitude and passion for home improvement, then apply today. We’re waiting to hear from you!